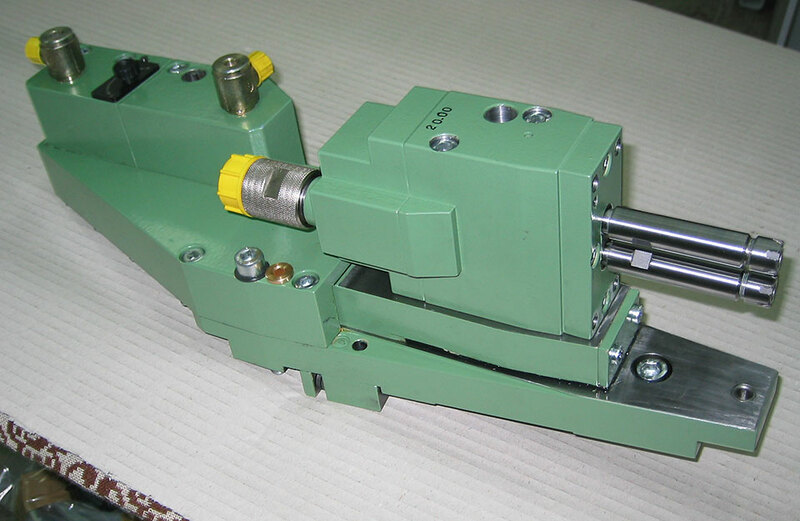 This machine has been developed especially for passenger car linings. The most important advantages are the quick change over time (max. 1 hour) and the high production rate of up to 1000 pieces per hour. Up to 8 drill units 13°, each with its own driving motor can be accommodated to the base plate. The positioning system with reliable alignment to the centre of the machine allows distinct reading of angular displacement on a digital display. Moving of the units is by a proofed manual shifting device. 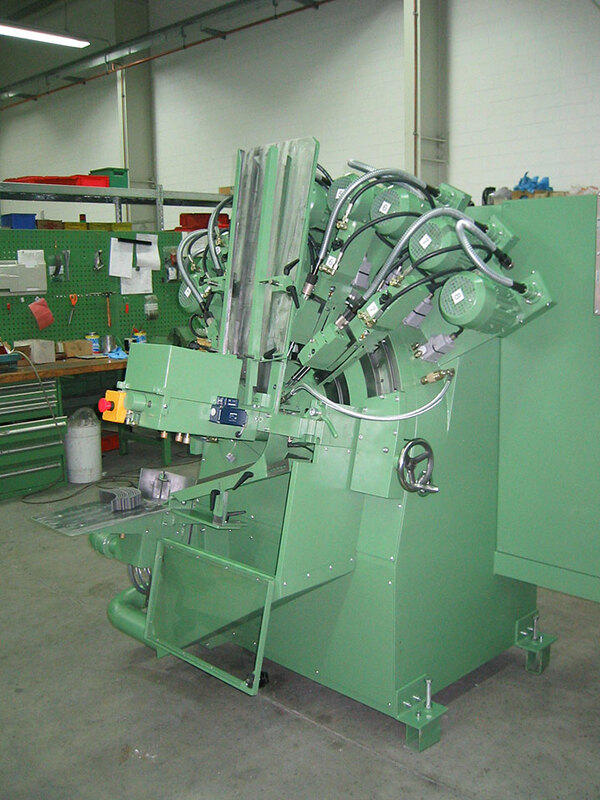 The needed twin spindle heads with fixed cross pitches can easily be plugged on several radial positions. They are secured by two screws only. 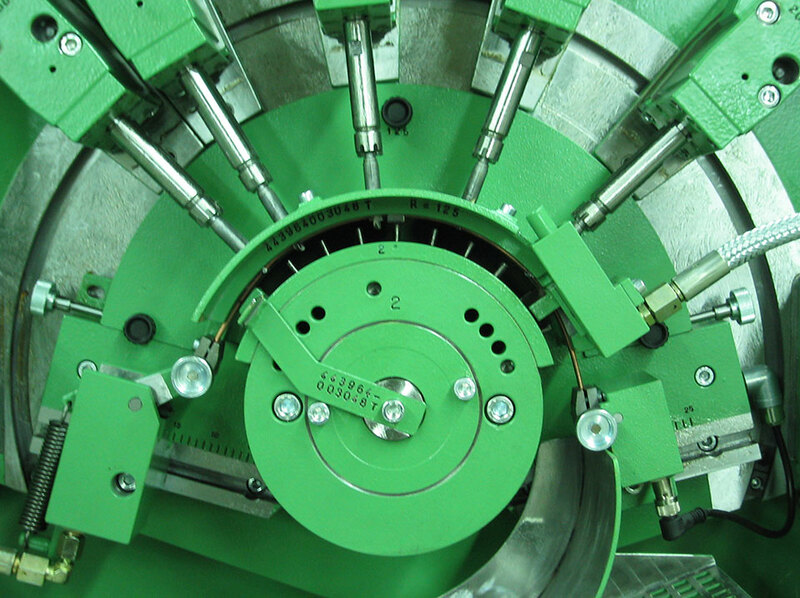 A special drive inside of each twin spindle head allows equalising the depth of the two spindles. 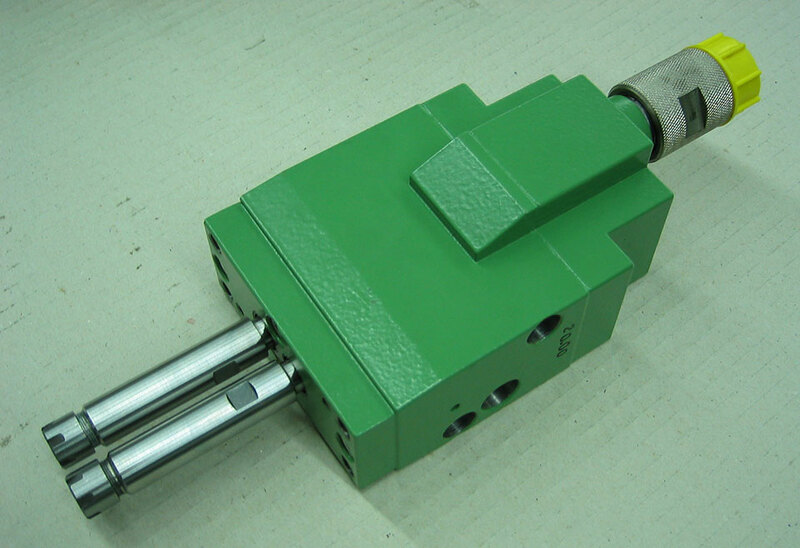 The regulation of the countersink depth is by a proofed setting drive inside of the hydraulic feed block of the drill unit. The slide of each drill unit can be pushed and secured in the top position giving free access for change of drill cutters. 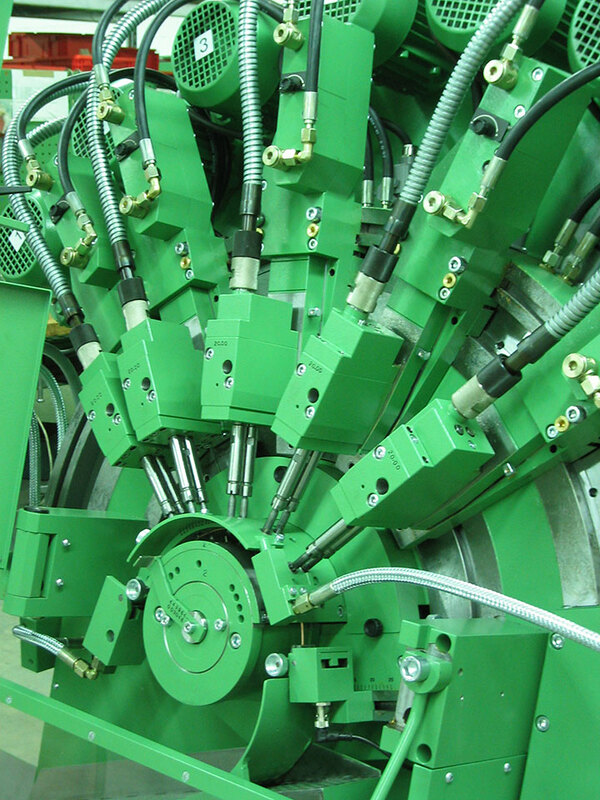 All jigs with incorporated drill guides guarantee correct alignment to the centre of the machine.